WANKULUKUKU – Express and Police FC will both be hoping they can bounce back from defeats when they square off at Wankulukuku on Monday evening. The two sides that have blown hot and vold this season, started the second round on a losing note with Express going down 1-0 away to Tooro United while Police were humiliated 4-0 at home to Nyamityobora. Kefa Kisala who is under pressure, will hope his side can pick maximum points for the first time since last month. The Red Eagles have been strughling since defeating Nyamityobora 2-1 on 28-12-2018, losing one and drawn two of the three fixtures inbetween. After making five signing in the January transfer window, including Brian Umony, Kisala knows that nothing but positive results is what’s required of the team. “We know it is not going to be an easy game and the pressure keeps on mounting on us to pick up positive results, said Kefa ahead of the game. Express will be without striker Eric Kambale who will be out of action for close to month due to a muscle problem. Defender Hamis Batega is also out of the Police game due to fitness issues. New signing Goffin Oyiworth is a doubt with Malaria and so is Tony Odur who has not been undergoing proper training in the last few days. Coming up against Police, they face one of the best ball playing sides in the division and one that has already won a game at Wankulukuku this season. Abdallah Mubiru’s side have always been the nuetrals’ pick for their expansive style of play and on a givan day, can rip u apart. The Cops were 2-1 victors away to Nyamityobora at Monday’s venue and will be confident they can repeat the same magic against Express FC. However, Police conceded goals for fan in the first round and that issue looks like it still set to continue after they were whalloped 4-0 at home to Nyamityobora in the first game of the second round. However, with Yasin Mugabi expect to come in on loan from Wakiso giants, Mubiru thinks the issue may be sorted as soon as possible. This will be the 18th meeting between the two sides since May 2011. In the previous 17, Express have won 7 games, Police 4 and also seen 6 stalemates. The first meeting between the two sides ended 3-1 in favour of the Red Eagles. Last season, Police defeated Express home and away including a 1-0 victory in the reverse fixture. Express head into the game winless in any of their last three UPL games (D2 L1). Their last victory came in a 2-1 win over Nyamityobora in December 2018. However, at home, the Red Eagles have not lost in any of their last three games (W2 D1). The last team to defeat them in Wankulukuku was Onduparaka (2-0) on December, 01-2018. For Police, they have won only one of their last 5 League games (D2 L2). 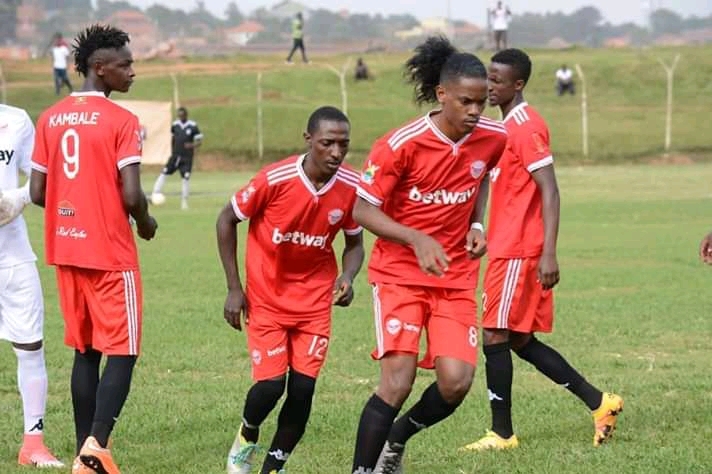 Away from home, Abdallah Mubiru’s charges have not won in their last four, drawing one and lost three.